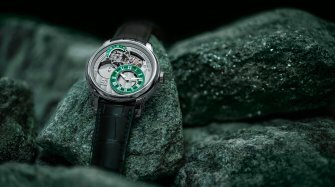 Based in traditional Swiss watchmaking country in La Chaux-de-Fonds, Schwarz Etienne has a century of history in watchmaking but chooses to look to the future rather than the past. Schwarz Etienne takes its name from its founders, Paul Arthur Schwarz and his wife Olga Etienne, who established the company in 1902. 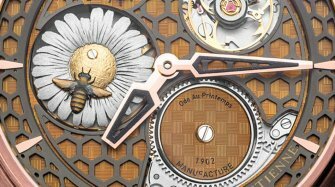 For over a century, the company has been a major supplier of watch movements and components to the biggest names in the industry, an activity that still continues to this day. 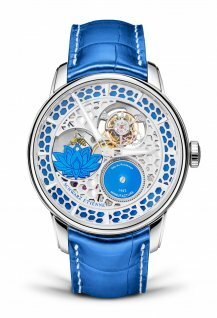 After diversifying its activities as a result of the watch industry crisis in the 1970s, the company decided to develop its own brand in 1985, progressively becoming a watch manufacturer in its own right. 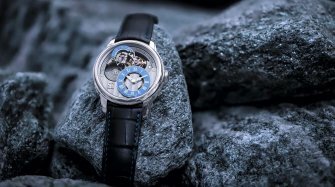 After being acquired by a passionate local entrepreneur in 2007, the brand has evolved within a watchmaking group that now gives it an unparalleled level of vertical integration. 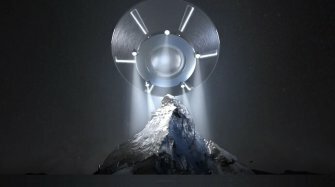 Paul Arthur Schwarz and Olga Etienne establish the Schwarz Etienne company in La Chaux-de-Fonds. The company is taken over by the family’s sons. 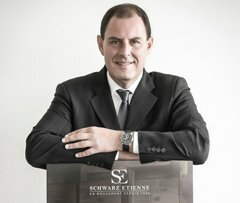 Raffaelo Radicchi, an entrepreneur based in La Chaux-de-Fonds, acquires Schwarz Etienne. 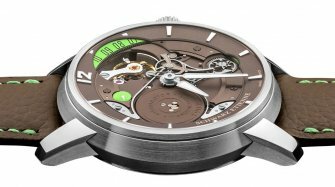 The company presents three new in-house mechanical watch movements. 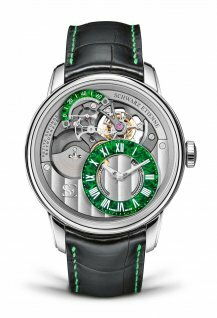 Schwarz Etienne launches a fourth and unique in-house calibre, the ISE (Irreversible Schwarz Etienne). 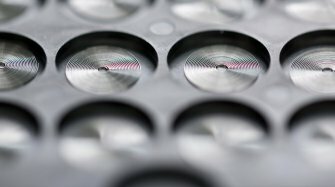 Although Schwarz Etienne can look back on over a century of experience in the production of watch components, the company’s focus is firmly on the future. 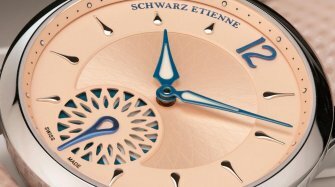 As part of a group that masters the entire value chain, from the production of components such as movement main plates, the crucial “assortment” (the escapement assembly) and the rare mastery of balance spring production right up to watch assembly and logistics, Schwarz Etienne has a level of independence that will allow the brand to develop for years to come. 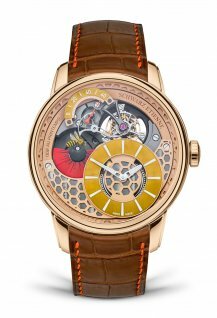 The perfect showcase for the expertise of its sister company E20 innovations, the La Chaux-de-Fonds Tourbillon incorporates a dial-side micro rotor, visible retrograde seconds function and an off-centred dial. The tourbillon escapement and regulating organ visible on the dial are also produced in house. Schwarz Etienne’s expression of classic watchmaking elegance comes with an in-house self-winding movement with micro rotor that offers a four-day power reserve and is available in a variety of styles and case materials. 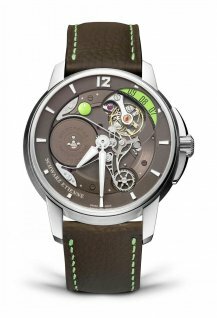 The Schwarz Etienne Roswell collection was built to showcase the brand’s unique “irreversible” movement design, whose construction has been reversed so that all key components are on the dial side. 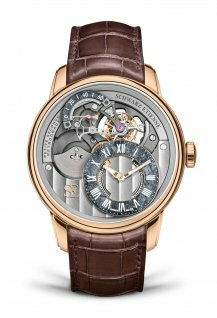 The micro rotor that winds the in-house movement is visible at 9 o’clock, with the regulating organ and its elegant bridge visible in the unusual position between 1 and 2 o’clock on the dial. 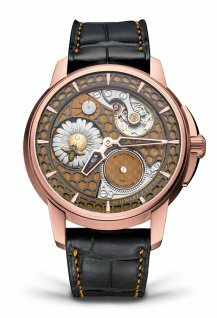 Schwarz Etienne once again embraces artisanal craftmanship with a new watch celebrating the era of ‘flower power’. 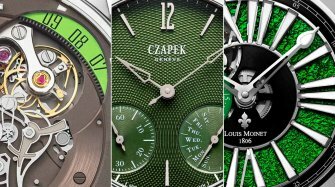 Whether you prefer the full-on “stealth” look or a splash of colour on your black timepiece, the 2019 collections have something for everyone. A watch, just for her! 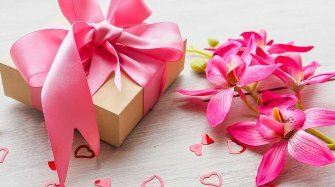 A watch, just for her! Edition I : "Ode to Spring" Edition I : "Ode to Spring"